'Such an under-rated player' - Plenty of Tottenham fans rave over star performer of Arsenal win | The Transfer Tavern | Where football transfer rumours fly or die! Last night when the Tottenham fans saw the lineups ahead of their Carabao Cup clash with Arsenal, some of them were a little bit nervy when they saw Ben Davies starting at centre-back. The defender did well there against Burnley, but with all due respect to the Clarets, Pierre-Emerick Aubameyang is more of a threat than Ashley Barnes. 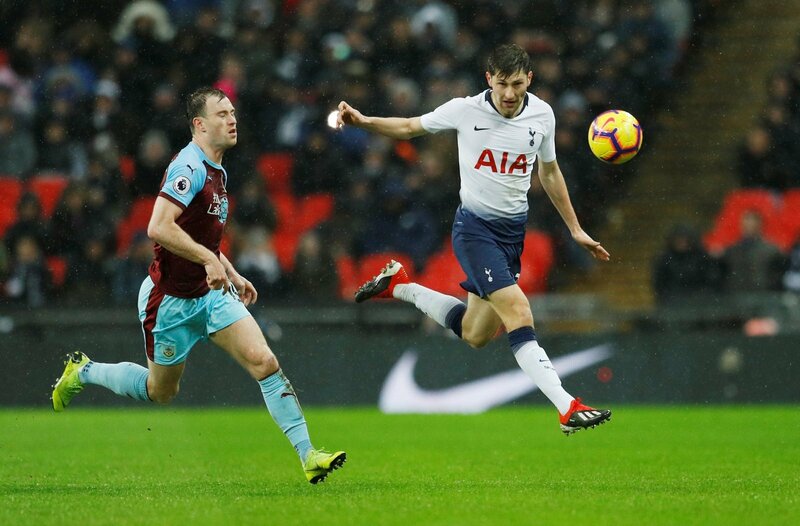 #thfc defender Ben Davies getting nowhere near enough credit on here for another brilliant performance at centre-back tonight. Alongside Toby Alderweireld, Ben Davies looked like he’d been playing as a centre-half his entire life. The Welshman showed a classy touch in the middle of the Lilywhites’ back four and he did the necessary, performing well above the levels of what the fans expected of him as he helped make history, with this Tottenham side being the first ever to keep a clean sheet at The Emirates. The last time Tottenham shut out Arsenal whilst playing away to the Gunners was way back in 1998, and this will be a win that the fans remember for a long time. The 25-year-old left-back certainly played his part in that too, and his performance cannot be understated as he did what he had to do all night, helping to keep the likes of Aubameyang and Alexandre Lacazette quiet throughout. Massively underrated and way too over criticized! Solid and versatile in defence sooo important to us ! Was superb tonight. Fantastic display. such an under-rated player, just gets on with the job whatever his position, well done Ben! I second that. Thought Davies was excellent tonight and made some really important blocks at crucial times. Far better centre half than left back! The Lilywhites were in awe of Davies as he shutout two of the best strikers in the league in Lacazette and Aubameyang and they’ll be keen to see more of this form from the Welshman.